U.S. President Barack Obama (C) walks with Prime Minister Benjamin Netanyahu of Israel (L) and President Mahmoud Abbas of the Palestinian Authority on September 1, 2010 at the White House in Washington, DC. The headlines in the Israeli newspapers on Friday, September 16, 2011 were dominated by the Palestinian statehood bid. With the clock ticking down, the papers have dedicated a great deal of time to the matter. Yedioth Ahronoth even leads its Wednesday edition with what it is referring to as the “September Alert”. According to the lead headline, Prime Minister Binyamin Netanyahu is considering addressing the General Assembly himself, instead of asking President Shimon Peres to go in his place. The report also said that the prime minister has started to entertain the possibility of attending in person because of the intense negotiations being conducted by the United States, the European Union and Quartet envoy Tony Blair to find a compromise solution. Maariv also leads with the UN vote, reporting that Jerusalem is preparing for a wave of International Criminal Court lawsuits against Israel as soon as the Palestinians’ UN status is upgraded. According to the report, a secret Foreign Ministry cable to embassies across the world is warning of a deluge of such cases in the ICC. The cable also outlines Israel’s plan of action for rebuffing the claims that the Palestinians are expected to make during the UN debate. The Jerusalem Post did not lead with the UN vote, but had extensive coverage inside the pages. It has reported that the president of the UN General Assembly, Nassir Abdulaziz Al-Nasser of Qatar, says he has received no request to date from the Palestinian representation at the UN on whether they plan to seek statehood status in the world body. Al-Nasser told a news conference that he still did not receive any request about the issue. ‘There are two ways and everybody knows, Security Council or General Assembly,’ Al-Nasser said. ‘We'll wait and see what's going to happen.’ He noted that the Palestinian leadership is still engaged in discussions in Egypt about the statehood bid. Israel Radio adds that according to a senior official from the UN legal department, the Palestinians cannot receive full membership in the organization without a recommendation from the Security Council. The U.S. has indicated that it would use its veto power in the Security Council to block a Palestinian statehood bid. Haaretz covers U.S. Secretary of State Hillary Clinton, who said Tuesday that the path to a two-state solution runs through Jerusalem and Ramallah, not the UN. Speaking in Washington, Clinton repeated the U.S. view that the Palestinians should not seek full membership in the UN later this month and instead should resume direct talks with the Israelis. She added that she has sent two US envoys – David Hale and Dennis Ross – back to Israel and the Palestinian Authority to try to find a way to revive talks. 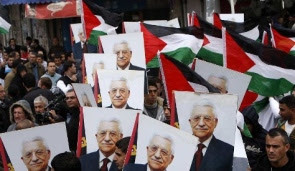 Ynet reports that Palestinian President Mahmoud ‘Abbas said Wednesday that the efforts to win UN recognition for a Palestinian state are “irreversible” and have wide international support, but they do not mean the end of negotiations with Israel. Abbas was speaking to newspaper editors in Cairo following a meeting with Arab foreign ministers, who discussed the Palestinian UN initiative. The last word on the Palestinian issue belongs, almost inevitably, to Foreign Minister Avigdor Lieberman, who said Wednesday that all the concessions made by various Israeli governments over the years to the Palestinians have been taken for granted and were not viewed as goodwill gestures. Lieberman vowed that if the Palestinians go ahead with a unilateral move at the United Nations for membership as a state, and are successful in passing such a resolution, there will be “serious implications”. Haaretz, The Jerusalem Post and Israel Hayom, also lead with Turkey. Haaretz and The Jerusalem Post have almost identical headlines, quoting from Turkish Prime Minister Recep Tayyip Erdogan’s comments in Cairo on Tuesday, where he said that Israel has isolated itself and must pay the price after refusing to apologize to Turkey for the commando raid on a Gaza bound aid flotilla. Speaking to Arab League foreign ministers, Erdogan charged Israel with irresponsibility and smashing human dignity and international law by carrying out assaults on international convoys. The Turkish leader said such assaults threaten the Israeli nation. He added that the Israeli people have become a besieged nation. He also voiced his support for the Palestinian initiative to win recognition of statehood from the United Nations and said this is not an option but an obligation. Erdogan said it is time to raise the Palestinian flag at the UN. The lead headline in Israel Hayom quotes Muslim Brotherhood members who greeted Erdogan like a hero in Cairo, calling him “the new Saladin”. Netanyahu responded to Erdogan's remarks during a tour along the border with Egypt by saying that one should not take every statement so seriously. He said in the end common sense would triumph on both sides. And finally, in related news, a panel of human rights experts said on Tuesday that Israel's naval blockade of the Gaza Strip violates international law, disputing a conclusion reached by a separate UN probe into Israel's raid on a Gaza-bound Turkish aid ship. The Palmer Report on the Mavi Marmara raid of May 2010 that killed nine Turkish activists said earlier this month that Israel had used unreasonable force in last year's raid, but its naval blockade of the Hamas-ruled strip was legal. However, a panel of five independent UN rights experts reporting to the UN Human Rights Council rejected that conclusion, saying the blockade had subjected Gazans to collective punishment in ‘flagrant contravention of international human rights and humanitarian law’.